Hi all! 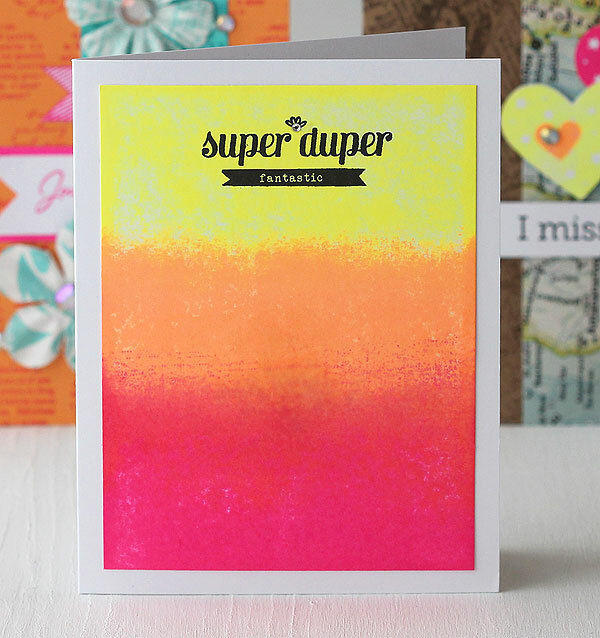 Today I have a super simple card — that I think is super duper fantastic — because it has two trends in one: ombre and neon! Woo! It’s as easy as doing a little direct-to-paper, starting with the new Hero Arts neon yellow, then adding the neon orange, and finally the neon pink! Then I stamped the message from this new BasicGrey set over top and added a clear gem — that’s it! Ta dah! What could be easier? 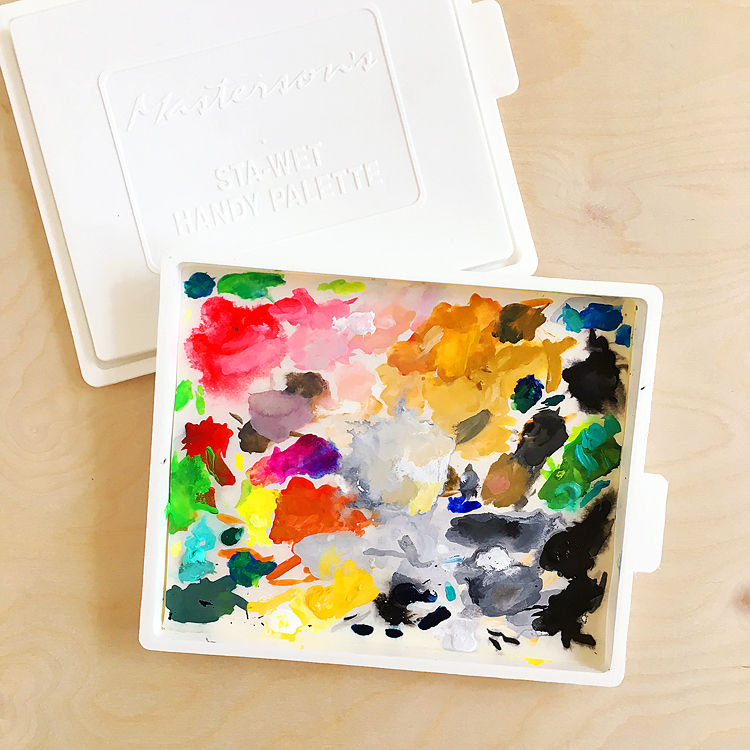 Especially for summer stamping, when you need a card in a jiffy! And as you can probably guess from the cards in the background, I’ve got more neon goodness ready to share with ya — just can’t get enough of this new ink! Yah! Wow! You are making great use of those neon ink pads. Very cool! 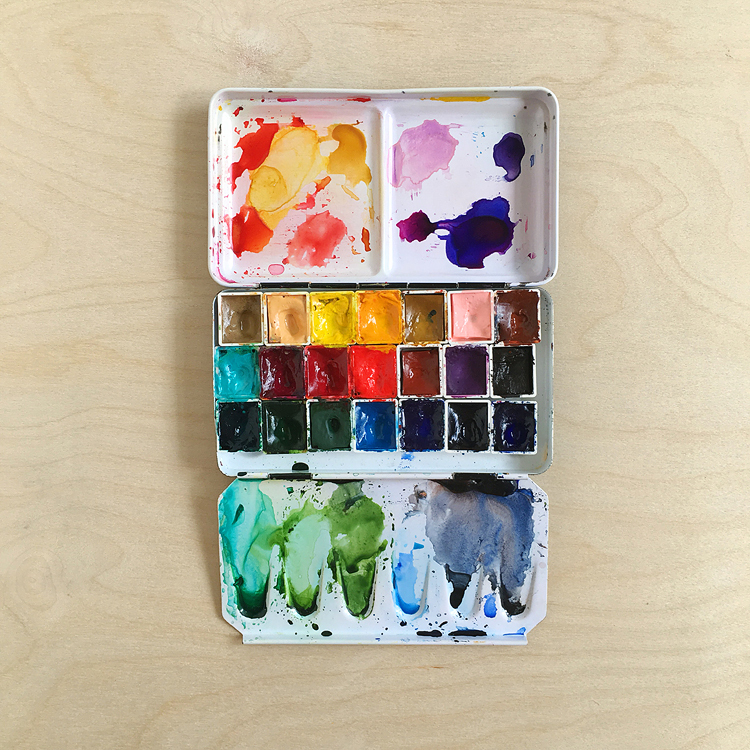 Like, wow, man – colors! :D I still don’t NEED these. Nope. Nuh-uh. Sigh. Lisa, what a fabulous card! Wasn’t a big neon fan … but now I am!!! love the ombre effect! so cool! super duper fabulous! love love this, Lisa! CLEVER GIRL!!! This is *uber* cool, my friend! Love coming to see your works of art! You are inspiring! Happy Fourth! 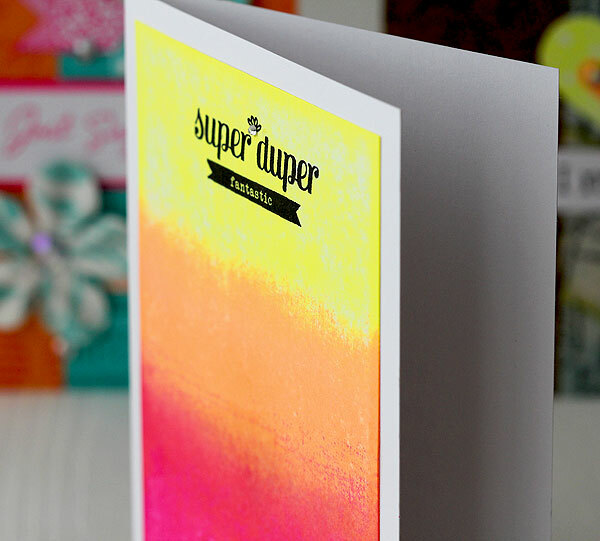 lovely card, luv the neon stamps, hopefully Archivers or Two peas will carry them … the colors look awesome!